This month we are releasing #TidartTeam, a series of interviews to learn more about each of the people who are part of our agency. What have been their paths before coming here? How do they see the future of our sector? The team answers these and other questions (not always so transcendental, you’ll see 😉). Ready to get to know Tidart’s more human side? 3, 2, 1… Let’s begin! 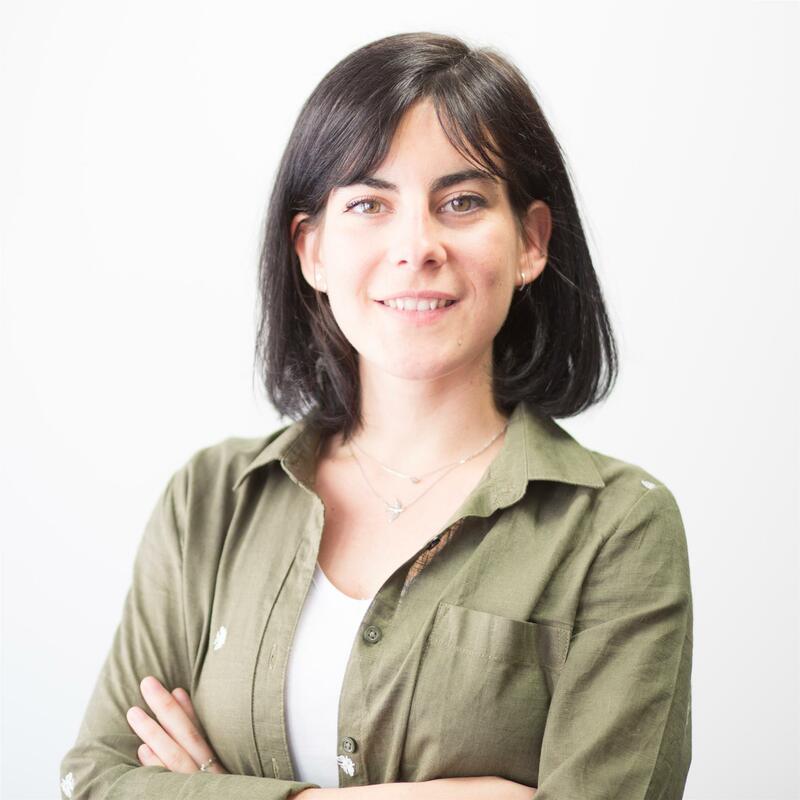 Rocío Chueca joined the team last January, although she has been with the Kimia Group for almost four years. Over the past few months, she has been involved in the day-to-day running of major international campaigns. She may be launching an ad on Facebook, while tracking Google Ads or setting up a mailing with MailChimp. She has also directed the launch of Make eComm Better, an innovative plugin powered by Kimia. Multitasking to power! Madrid (but I’m half Catalan, half Extremaduran). I’ve always been sure that I wanted to work in marketing, but I never imagined it would be right in the center of advertising technology. In my last years of university, I realized that I had curiosity and passion for eCommerce and technology applied to marketing. That’s how I started to focus my career; I started creating an online store of handcrafted products and since then I haven’t been able to think about anything other than the Internet world. Although it was always clear to me that I wanted to devote myself to marketing, I decided to study at the ICADE business school. This stage was crucial, but today I am aware that what really makes the difference are the skills that make you a professional. In this respect, I am grateful that they conveyed to us the importance of seeking excellence in each task, anticipating the needs of our clients and, above all, having long-term thinking that keeps us in the right direction. My professional career is not very long, I am still 25 years old! I started doing an internship at Kellogg’s and I loved the experience, but I also wanted to have the vision of a technological startup. For two years I was managing my first eCommerce and, after graduating, I joined Kimia. Here I have been lucky enough to be always in new projects, with a lot of freedom and surrounded by brilliant people. Before coming to Tidart I went through different departments, but I still learn as if it was the first day. What would you highlight about working at Tidart? The account manager job has the best of “two worlds”. On the one hand, you work side by side with marketing managers from different sectors. This is the most commercial aspect: you meet a lot of people and learn from great professionals. On the other hand, there is a very deep technical trait. At Tidart we take care of both the planning, creation and optimization of campaigns. It’s very nice to think about a strategy and follow each step until you get the results. The best thing about the online world is that these are immediate and perfectly attributable, so you can see the impact of your work in real time. Also, I’m lucky enough to continue working as a product manager in the development of a new product within the group: Make eComm Better. Working directly with developers creating something from scratch is one of the things I like most about this role. I don’t have a technical profile, so I’ve learned a lot! Above all of work methodologies and definition of requirements, applicable to many other professional aspects. Could you recommend us one or more essential marketing readings (or a key professional we should follow no matter what)? Without doubts, the Make eComm Better’s blog! It’s not just because we write it from here… It really has super valuable information about the sector and very interesting articles that will help you if you have a brand or are interested in getting into the digital “world”. But if you like technology and the startup world, I also recommend TechCrunch, Shopify and Jon Loomer‘s blogs. And in general you should always be aware of the news of Facebook and Google, the two major digital platforms. Do you prefer iOS or Android? Instagram, where I recognize that I spend too much of my time. What does a brand that wants to make the most of its paid media campaigns have to take into account? Communication: what you want to transmit and how. It helps a lot to create several key messages that define the brand and that must be maintained in all your actions. It’s like making a first and last speech in front of many people: you have to be very clear about what you want to say to them. Tools: it is essential to have the right tools to support your goals. For example, if you want to sell online, your store has to be up to the task. There’s no point in sending qualified traffic if the store doesn’t “call” for the sale. Quality content: two of the most important paid media channels are Facebook and Instagram. It should not be forgotten that these are social networks where people come to entertain themselves and see relevant content. If you decide to enter the world of digital advertising you have to focus a lot on creating attractive and quality content for your audience. The above, of course, as an essential premise. Once clarified, I always recommend putting yourself in the hands of professionals who can help focus the strategy and efficiently invest the budget. Facebook and Google Ads are within everyone’s reach, but it’s a double-edged sword that can turn into a black hole of economic losses. How do you picture the future of advertising? 100 % online. The physical world will support experiences from the online world. I imagine that, in the future, a very high percentage of our purchases will be purely online. We will only visit physical stores in search of different shopping experiences and support for interaction with the product. We will go shopping just for leisure, but not in search of something in particular. In fact, I believe that we will not even end up buying at the store, but will order our purchase to receive it at home the same day. One advance of this thought would be the Nespresso or Apple stores, which want to transmit the experience of the brand and the product. That you try it, touch it and that going to their store goes beyond spending money and going out with a bag. Before we finish, we’d like to know what series, book or TV show you’re hooked on right now!